General conference is one of the greatest times of year for Latter-day Saints. We are privileged to hear from our prophet, apostles, and other general authorities who prepare inspired messages to bless our lives, and it’s a wonderful time to receive personal spiritual guidance. Because this is such an important event, prophets and apostles have given words of advice to help us spiritually prepare. As conference weekend approaches, consider taking this advice given by Church leaders on how to get the most out of it. 1. Dedicate yourself to truly listening. 2. Pray and think about questions you have. Tuning in to conference with specific questions and concerns in mind is a great way to invite the Spirit to touch your heart and answer your prayers. Dieter F. Uchtdorf shared, “As you prepare for general conference, I invite you to ponder questions you need to have answered. . . . Answers to your specific prayers may come directly from a particular talk or from a specific phrase. At other times answers may come in a seemingly unrelated word, phrase, or song. A heart filled with gratitude for the blessings of life and an earnest desire to hear and follow the words of counsel will prepare the way for personal revelation” (September 2011 Ensign, “General Conference -- No Ordinary Blessing”). 3. Study past conference talks. 4. Keep a notebook or journal nearby during the talks. You never know when personal revelation will come or when your heart will be touched by the Spirit. Keep a notebook close so you can record those feelings as they come. Elder Robert D. Hales said, “When I take notes at conference, I do not always write down exactly what the speaker is saying; I note the personalized direction the Spirit is giving me” (October 2013 Ensign, “General Conference: Strengthening Faith and Testimony”). 6. Share gospel-related messages on social media. 8. Prepare your home and clear your schedule. If you plan to watch general conference from home, make an effort to get everything in order beforehand so you won’t be distracted while you’re trying to listen. Elder Robert D. Hales said, “What is said is not as important as what we hear and what we feel. That is why we make an effort to experience conference where the still, small voice of the Spirit can be clearly heard, felt, and understood." 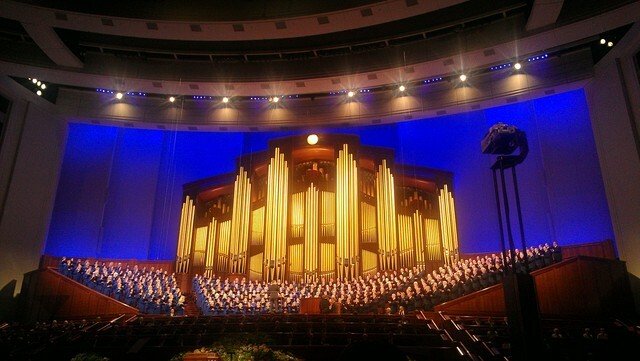 He also emphasized the importance of making time for conference by saying, “As the time for conference arrives, we sacrifice other activities, ‘lay[ing] aside the things of this world, [to] seek for things of a better.’ Then we gather our families to hear the word of the Lord, as King Benjamin’s people did." 9. Pray to feel Heavenly Father’s love. Temple worship is one of the central components to our membership in the Church. There are numerous conference talks about the blessings of temple attendance and the promise that if we attend the temple, we can be more in tune with the Spirit and receive personal revelation. 11. Be ready to act on the answers you receive. General conference feels like a spiritual New Year’s Day. We get so excited about re-dedicating ourselves to the Lord and following every prompting, but we often retreat back into old habits after a few months. It’s so important to commit to the things we need to change and the revelations that come.